Go Shuck An Oyster.com maintains a list of upcoming oyster festivals and seafood events. See below for 2019 oyster events we are aware of. If you have an event you want us to add to this list, email us event information and photos at josh@goshuckanoyster.com. Big Rock Oyster Company harvesting oysters on Cape Cod, MA. Here are 10 holiday gift ideas for that seafood lover in your life. Complete seafood kit for eating crabs, scallops, oysters, lobster and clams. Top of the line oyster shucking glove. If you buy a knife, don't forget to buy a proper glove. Best quality electric fish skin scaler and scraping tool. This will handle any size family crawfish boil, lobster party or clam bake. Present oysters, clams and raw bar items on this seafood platter tray. Customize this crab shack clock! With the right tools, catching lobsters is a lot easier! Seafood serving set for lobster, clams and more! A great addition to your seafood gatherings. It's that time of year! If you are going to be anywhere near Gulf Shores, AL, on November 2 or 3, 2018, make your plans to attend the 2018 Oyster Cook-Off and Craft Beer Weekend. Tickets include admission to a musical performance by country star Michael Ray. 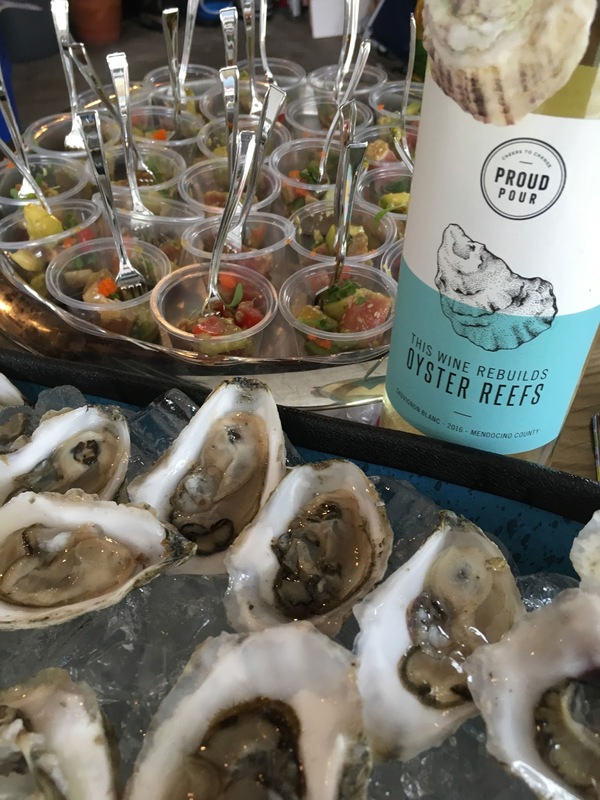 The event attracts top restaurateurs, chefs and oyster farmers to celebrate one of the Gulf of Mexico’s greatest treasures, the oyster. Attendees will have the chance to indulge in hundreds of dishes served by over 50 chefs and attend cooking demonstrations by celebrity chefs. The festival will also feature a music stage headlined by county star Michael Ray. The Cook-Off is also home to the North American Oyster Showcase, a gorgeous raw bar with one of the largest selections of raw oysters curated and flown in fresh from the best boutique oyster farms on the continent. Attendees can enjoy and compare oysters from the Gulf side-by-side with varieties from Pacific Northwest, New England and the Mid-Atlantic. Oysters farmers from far and wide will be on hand to shuck and talk with attendees. New attractions this year include interactive sessions on the Rouses Markets’ Hands-On Cooking Stage, where attendees will be led through tastings by expert, award-winning chefs and mixologists. The Cook-Off also features a craft beer village, SEC football on the big screen, a champagne lounge and its famous Bloody Mary Bars. The Big Green Egg Chef Presentation Stage lineup features Martie Duncan (Food Network Star), Cory Bahr (Food Network Star), Jim Smith (Top Chef), Chris Lilly (5x Memphis in May winner), Justin Warner (Food Network Star) Carl Ruiz (Guy’s Grocery Games) and more. Additionally, attendees won’t want to miss a live performance by Michael Ray. VIP attendees will receive access to exclusive chef tastings, meet & greet opportunities and admission to a “Chef’s Only” private after party. VIP tickets are limited and sell out annually. General Admission and VIP tickets for this celebration of food and drink are on sale now at www.hangoutcookoff.com. Chefs, talent and bands subject to change. 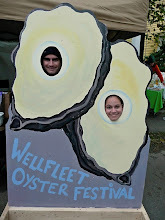 Includes admission to Saturday’s Oyster Cook-off, chef demo viewing, live music and much more. Food and beverage are not included with admission. Includes to the Cook-Off on Saturday. VIP’s will also receive exclusive chef tastings, chef meet & greets, admission to a “Chef’s Only” private after party on Saturday night, and more. The VIP area is a great place to chill or meet up with friends, featuring relaxed seating and a private bar. Tasting ticket booklets include 15 tickets each and are utilized to purchase oyster tastings at all restaurants and demo booths. Each oyster is equivalent to one tasting ticket. For more information or to purchase tickets visit www.HangoutCookoff.com. Here at Go Shuck An Oyster we are proud to support Laughing All the Way to a Cure in their fundraising efforts for MS Research. It's an honor to know and be friends with Stephanie who leads one of the top teams raising money to help find a cure for MS. She is inspirational in her fight against the disease that affects more than 2.3 million people worldwide. 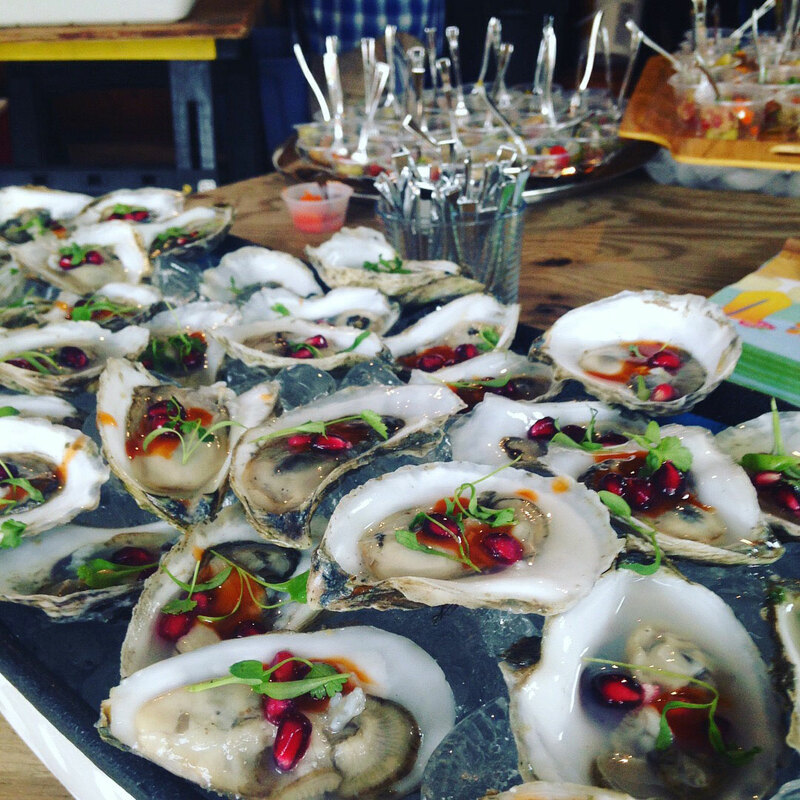 To help raise money, we recently held an oyster and wine tasting event. Big Rock Oyster Company was our lead donor. 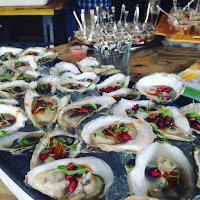 They provided us with an abundance of oysters and quahogs for our event. Located near beautiful waters on Cape Cod, Big Rock Oyster Company farms oysters and provides wholesale seafood locally and nationally. Learn more about them online here. If you're a reader of this blog, you know oysters from Big Rock are among our favorites! When you see them on a menu, order them and enjoy! If you find yourself in or near Massachusetts, make a trip to their headquarters in Harwich, MA for oysters and seafood. Proud Pour provided a bottle of wine and they are an amazing company. Not just because of their great wine but because they "cheers to change" by donating money to oyster related non profits who work to clean waters and restore ecosystems with oysters. Learn more about Proud Pour online here, and find your local wine shop that carries the wines here. We hope that you will support Proud Pour so they can continue to do their work to help make our waters cleaner. We can't give enough thanks to all those who donated and attended our event. Each and every dollar raised went directly to MS research. Stephanie and her teams have raised over $150,000 to help those with MS.
To donate product or silent auction items to future fundraisers, or to our next MS fundraiser, please reach out to us at josh@goshuckanoyster.com. Thinking about opening oysters yourself? Good, you came to the right place. Shucking oysters isn't too difficult, especially with the right supplies. With the proper tools, such as an oyster knife (not a screwdriver), and protective gloves (not snow gloves), you should have a great time and a safe experience opening oysters. Oysters should be fun! Otherwise, what's the point!? I find having mini disposable forks around when serving oysters helpful and fun. Looking to really step up your oyster game? Shaved ice might help.Why shaved ice? It's great for plating/serving oysters and for keeping your oysters cold. Need More Help Opening Oysters? Whatever you decide, just be safe and have fun. Now, get some supplies and then Go Shuck An Oyster!